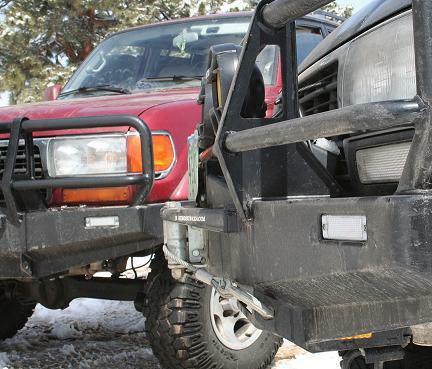 Gamiviti is the exclusive manufacturer of replica crystal clear lenses to fit your ARB bumper. These lenses were custom designed and manufactured by Gamiviti, to all you a unique way to customize your classic Tacoma, FJ60, 80, and early 100 series ARB bull bars. You already bought an ARB for its outstanding reputation, functionality, and great looks, now you can take it to the next level of bling with a set of clear lenses. Amber bulbs are also available to complete the transformation. Your bulbs and lenses will arrive undamaged or we will refund your money, including paypal fees. We offer this deal for $30 including shipping to the US. International orders, please add another $5, see the drop-down menu below. If you are switching from an amber lens to a clear lens, but you still want your front turn signal indicators to be amber, well then you should probably pick yourself up a pair of amber bulbs. 1156A is the size you want, and yes you can go down to the auto parts store and purchase these yourself for about $5. Then again that involves getting up, not to mention your time, gas, may as well just give us the $5 we'll be happy to just ship the bulbs to you with the lenses. GUARANTEED NOT TO BREAK IN SHIPPING!